Laser vision correction is one of the most popular procedures performed worldwide. It is the use of a highly precise laser system to reshape the front part of the eye (the cornea) to correct near-sightedness, far-sightedness and astigmatism. This eliminates or reduces the need of glasses and contact lenses to have clear vision. The shape of your eye determines how well your vision is. Light rays are bent by the cornea through the pupil and focused on the retina (light sensitive layer of the eye). When the curvature of the cornea does not match the length of the eye, light rays cannot focus properly on the retina, and a refractive error occurs. There are three types of refractive errors; myopia (nearsightedness), hyperopia (farsightedness) and astigmatism (irregular shaped cornea). In nearsightedness light rays are focused in front of the retina, Farsightedness light rays are focused behind the retina, astigmatism there are multiple focal points in the retina. There are different types of laser vision correction. LASIK is one of the most popular laser surgeries done in the world. Formerly, LASIK was performed using a microkeratome. This instrument uses a blade to create a corneal flap. The flap is lifted and laser is applied to reshape the cornea. The flap is then replaced without any stitches. 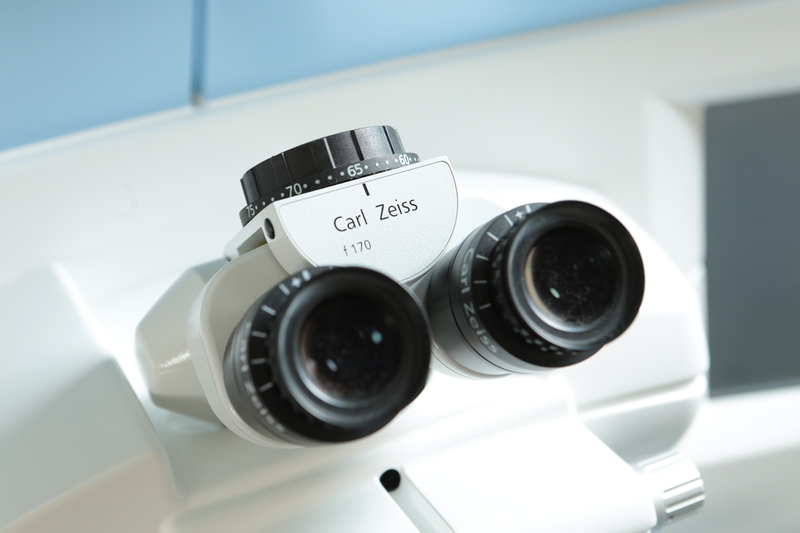 Nowadays, instead of a microkeratome, we use an ultra-precise femtosecond LASER to create the corneal flap. The use of this laser allows a more precise and safer cut compared to a microkeratome, achieving better results. SMILE is the most advanced type of laser refractive surgery that can only be done using the FDA- approved Visumax femtosecond laser available at the St. Luke’s-Vision Laser Service. The laser creates a lenticule to correct the refractive error of the eye. This lenticule is then extracted through a small incision. This is a flapless and painless procedure and studies have shown that there is less dry eye and less chance of weakening of the cornea compared to other procedures. In Surface Ablation, the outer layer of the cornea is gently removed and laser is applied to the exposed surface. This procedure may be indicated in eyes with thin cornea. The best way to find out if you are eligible for laser vision correction is to undergo a screening examination. This is a comprehensive eye exam with diagnostic tests and imaging scans that will determine if you are a good candidate. Your doctor will review the results and see which procedure is ideal for you. The goal of this procedure is to reduce your dependence on glasses and contact lenses. It does not always create perfect vision. But with cutting-edge technology combined with St. Luke’s years of experience, the chances of achieving 20/20 vision is very high. For bladeless LASIK, our data show that 84% of eyes treated achieved 20/20 vision or better the following day. As the eye heals, vision usually further improves. There is minimal discomfort during the procedure since numbing eye drops will be instilled, although some may feel mild pressure sensation. For LASIK and SMILE, you may feel mild irritation a few days after. Usually this will improve with the application of lubricating eye drops. For PRK, patients experience more discomfort for 3-4 days as the surface of the eye heals. This can usually be alleviated with over the counter pain reliever. Laser procedure usually takes around 15-20 minutes to treat both eyes. You should refrain from rubbing your eyes and wear protective goggles for the first week. You will be also given eyedrops during this period. No swimming for 2-3 weeks. For LASIK and SMILE patients, most can resume their normal activities the following day. For surface ablation (PRK), visual recovery takes a bit longer (1-2 weeks). Like all surgical procedures there are possible risks for laser refractive surgery. However, vision-threatening complications for these procedures are extremely rare. Many of the risks and complications associated can also be reduced or eliminated through careful patient selection and pre-operative testing. After a thorough examination, if we determine that you are a good candidate, your doctor will explain the procedure and answer all your questions. It is always important to choose an eye center that will do a meticulous preoperative screening and diagnostic examinations to ensure an optimal outcome. Follow-up care is also essential to prevent unwanted side effects or complications. It is imperative that your surgeon checks your eyes regularly during the postoperative healing period. 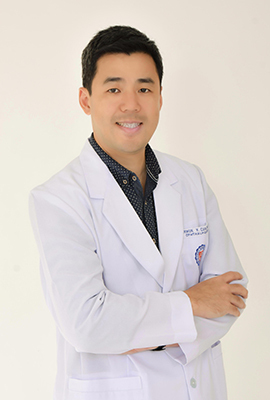 Dr. Irwin Cua is the Assistant Director of the Eye Institute at St. Luke’s Medical Center-Quezon City and Head of the Vision Laser Service of both St. Luke’s-Quezon City and Global City. He is also the Chief of the Section of Cornea and Refractive Surgery at St. Luke’s-Global City. For inquiries, please call the St. Luke’s Eye Institute at 7230101/0301 ext .5422/4143 (Quezon City) or 7897700 ext. 2024.